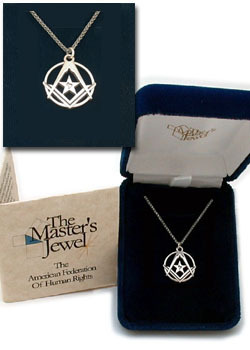 The American Federation of Human Rights Pendant, smaller version. 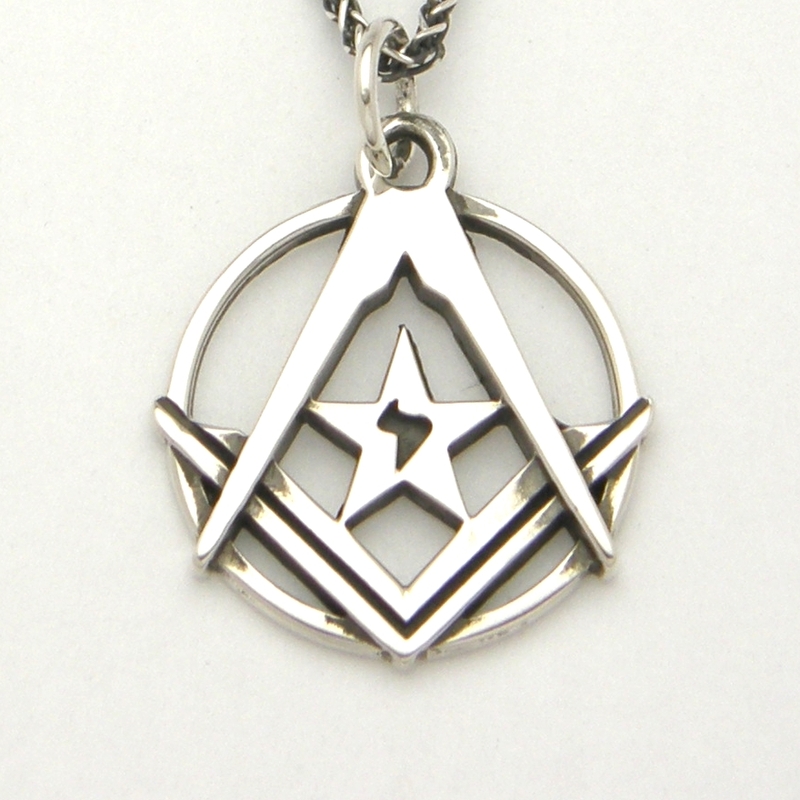 Cast in solid Sterling Silver, this pendant is just over 3/4" (25/32"). The height is 7/8" and about 1/16" thick. Each pendant is accompanied with an 18" spiga style chain small pamphlet, and a genuine blue velvet gift box.